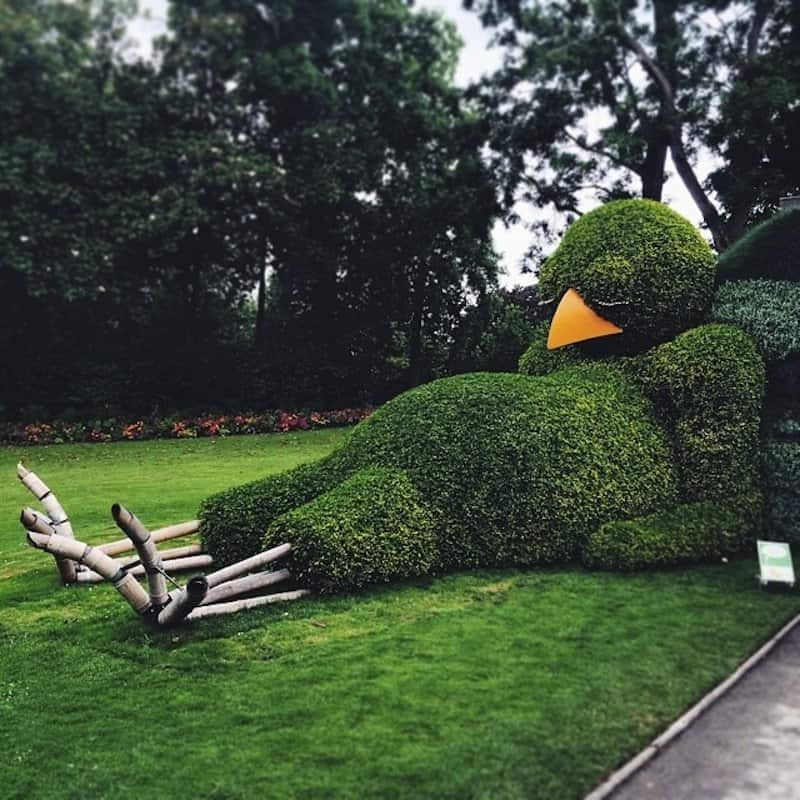 Topiary sculpting is definitely an interesting art form. 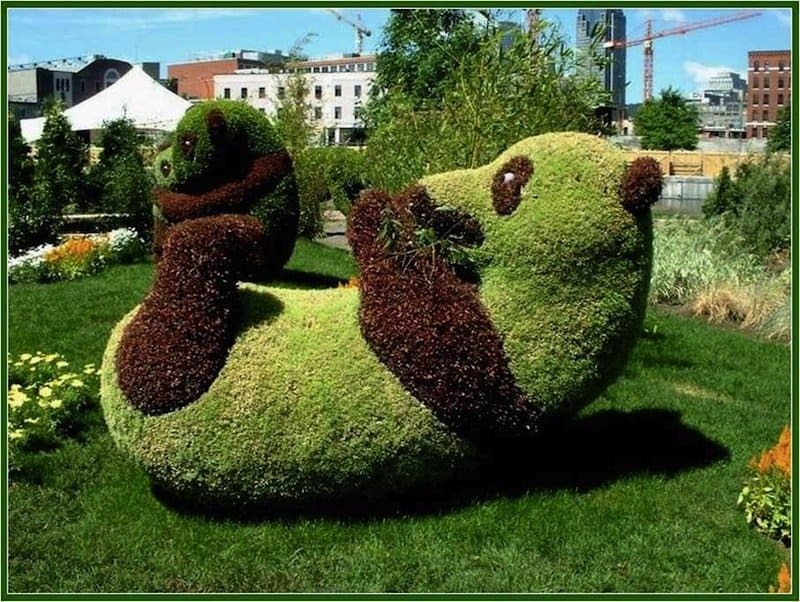 Slowly, over a period of months, these artists train plants to hold particular shapes. 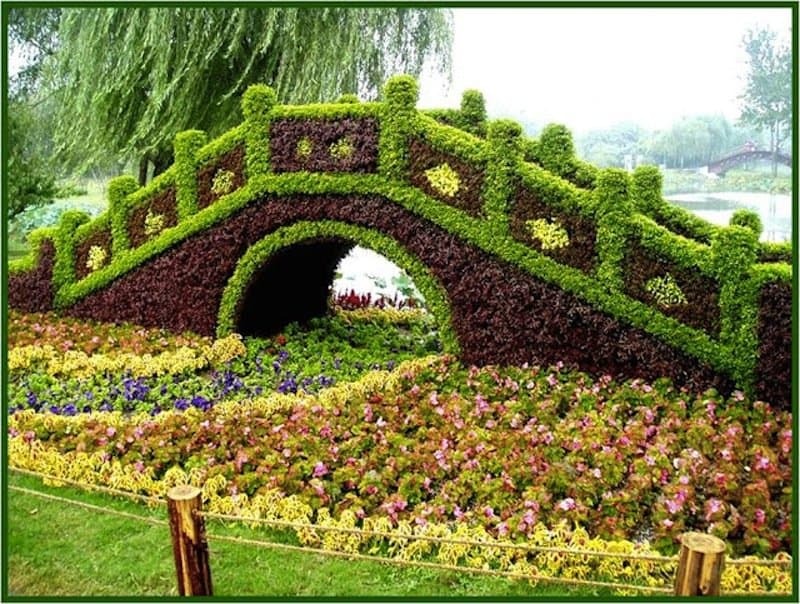 This is mostly done by frequently clipping the plants with shears, but sometimes wire meshes are also used to reinforce any chosen shape. And often various flowers are added to these sculptures to provide color and detail, which greatly helps to bring these sculptures to life. 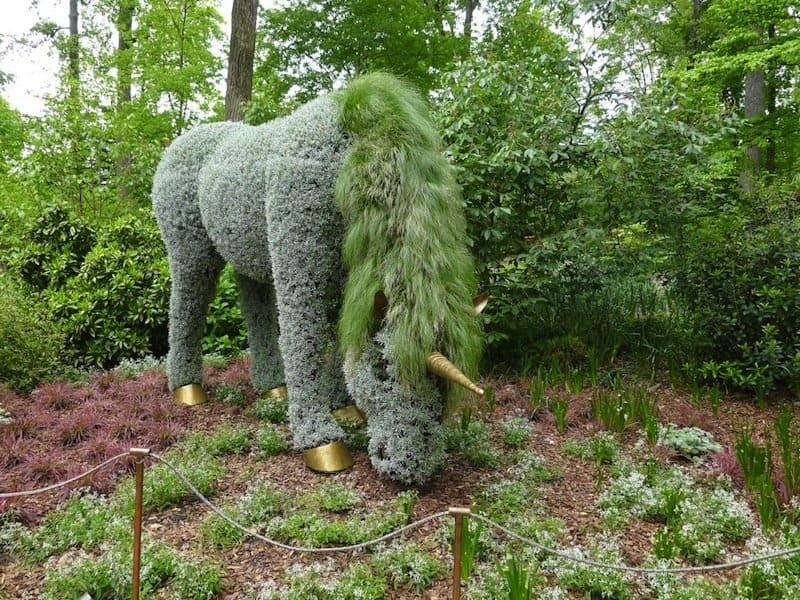 The following list includes a wide variety of these topiary sculptures, and they show just how diverse and intricate this art form can be. Looks like the people actually found “Mother Nature” hanging out. 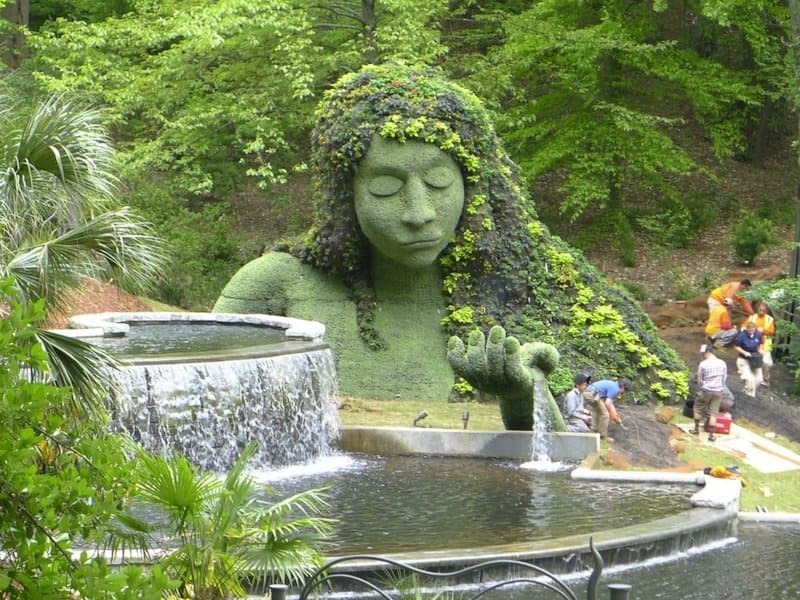 This sculpture is the largest in the Atlanta Botanical Garden in Georgia. When people see these creepy and realistic critters, they have to resist the instinct to dial some sort of pest-control business. Everyone needs to take a nap from time to time. This big fella’ looks like he had a little too much for lunch. 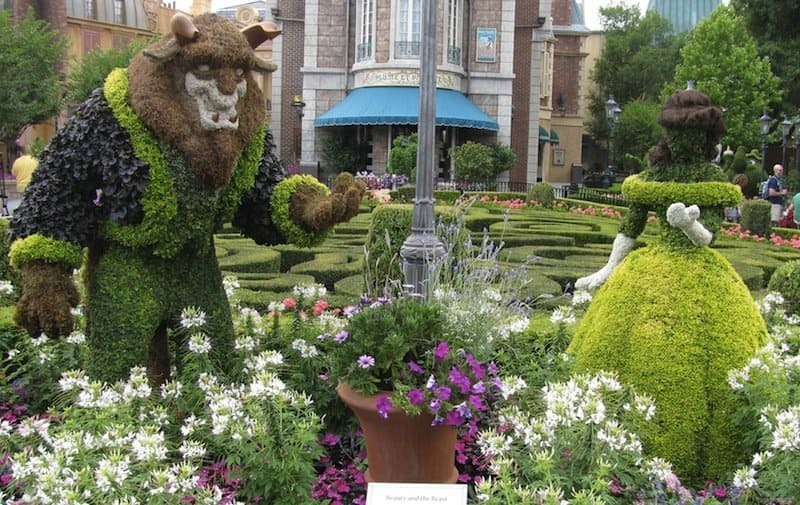 No list on topiary sculptures would be complete without a picture of a couple of Disney characters. These two are Belle and the transformed prince from Beauty and the Beast. 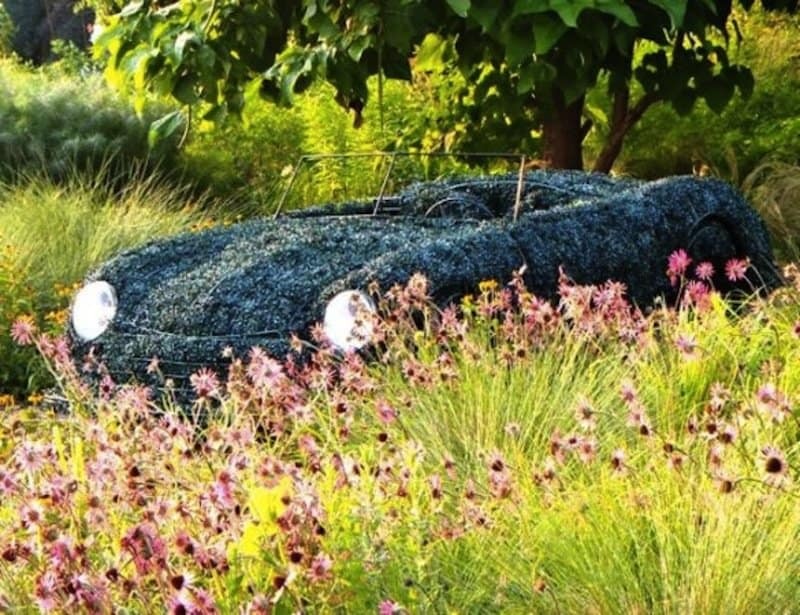 When spectators see this example, they first think that someone parked their Porsche in the garden, but then the they realize it’s actually a topiary sculpture. 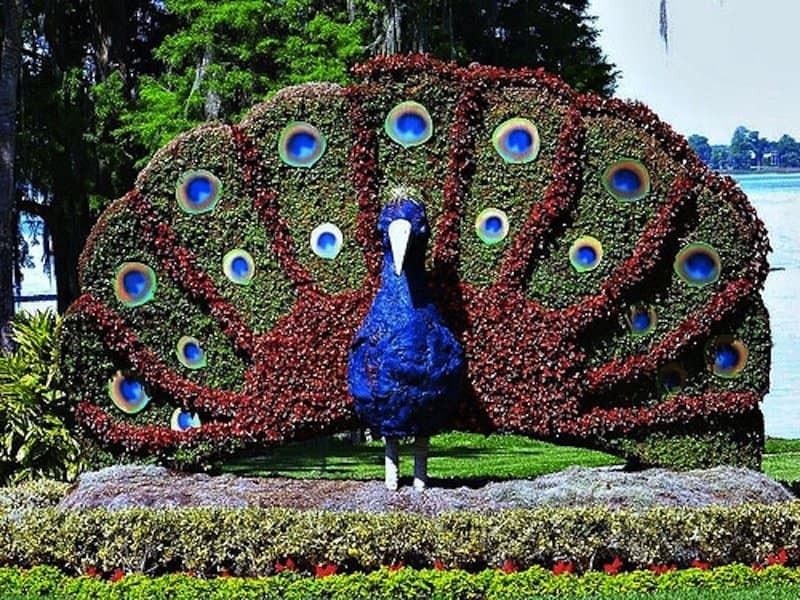 Peacocks are certainly elegant creatures, and none of that grandeur is lost when they are transformed into topiary sculptures. In general, chameleon lizards like to blend in with their surroundings to avoid predators. 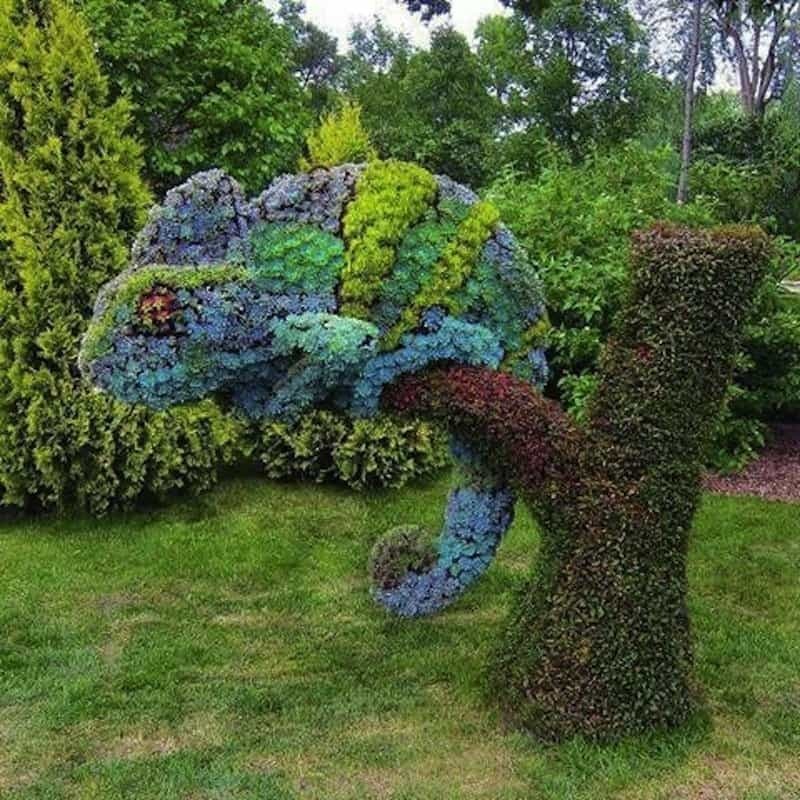 This chameleon, however, likes to stand out and show off his awesome colors. This stallion, off in the wild and on its own, won’t be tamed anytime soon. We only hope it outlasts the ever-changing seasons and weather. This one scores points in the uniqueness category. 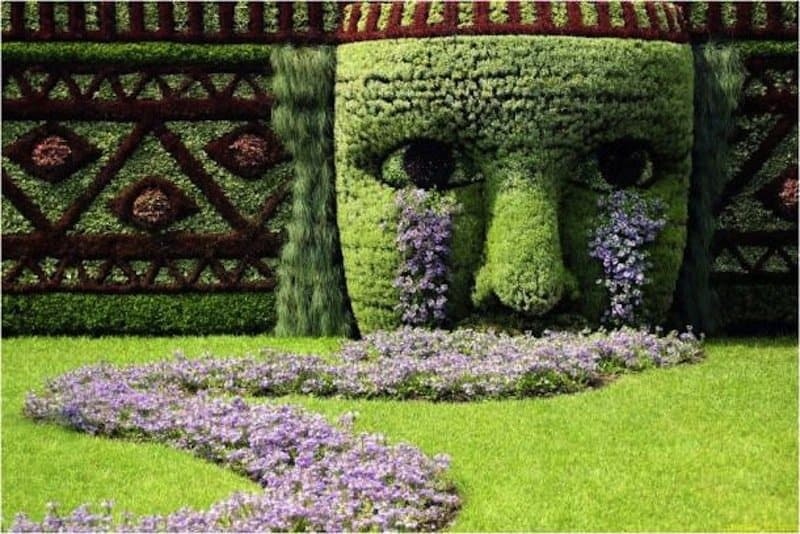 It must be strange thing to have your tears spontaneously transform into flowers. 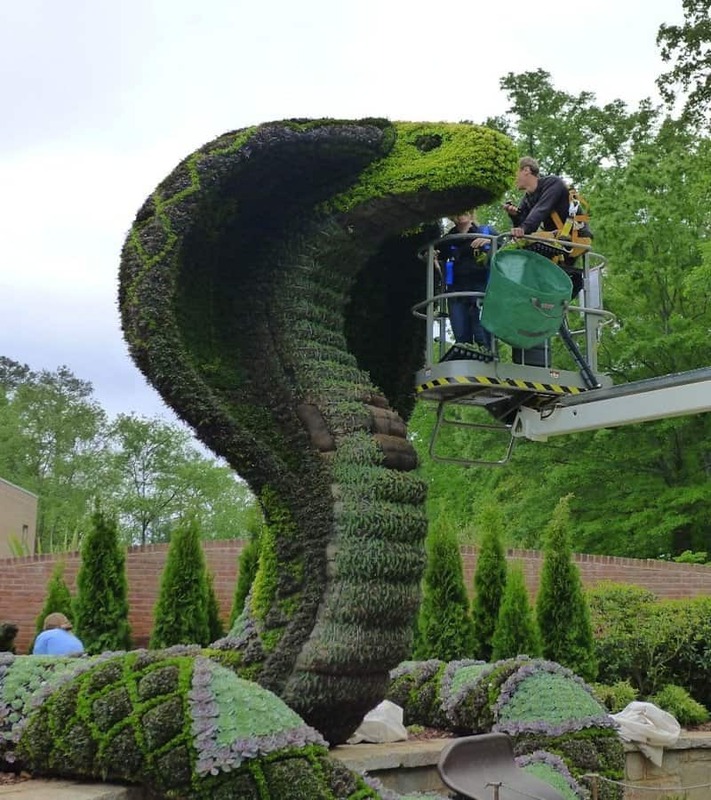 Engineers are starting to research topiary sculptures for their structural integrity. They certainly have an outstanding aesthetic quality to them. 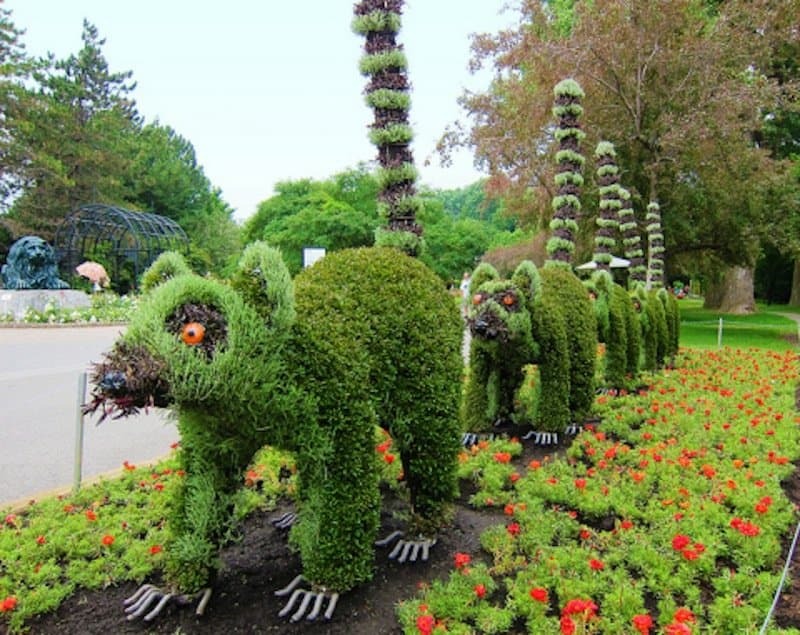 Who needs to go to a zoo when you can just check out realistic topiary sculptures? 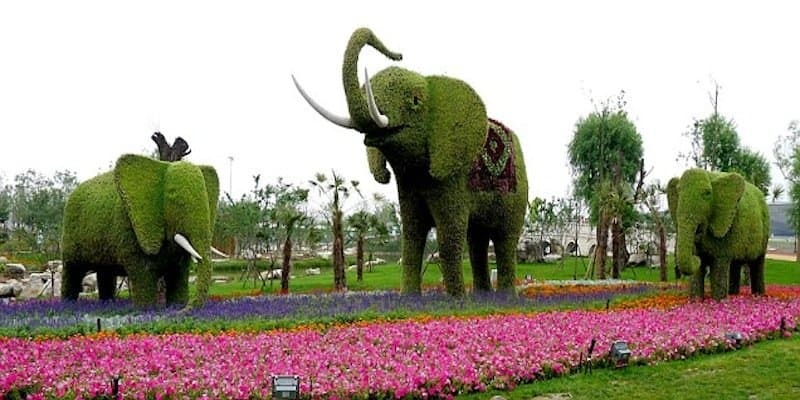 These elephants are just as good as the real thing. Not all snakes are slimy and creepy. This viper actually looks quite majestic. We’re wondering if the sculptures will give it some fangs. 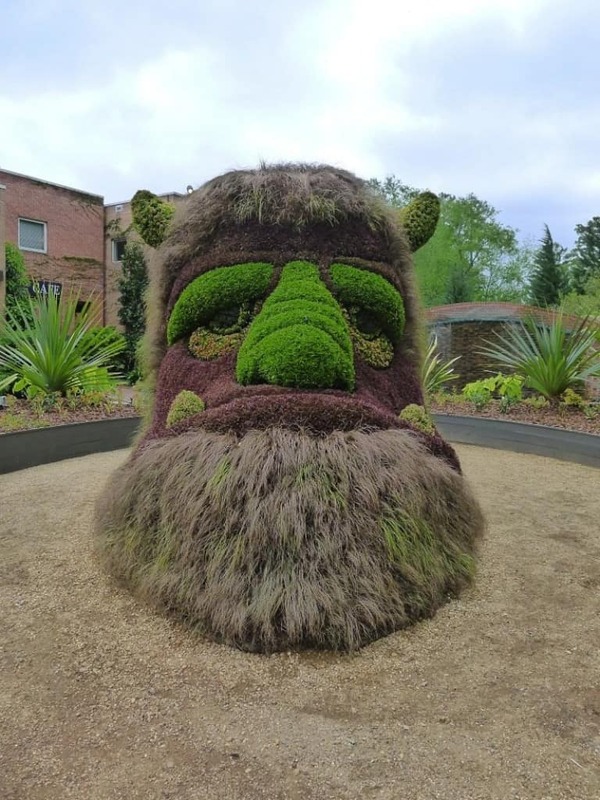 This ogre is growing weeds instead of a beard. What’s more, it has a hole in its head so kids can play inside him. You’d have a grumpy expression too if you had kids jumping around in your head all day. According to myth, unicorns are generally shy and only a virgin maiden can catch them. This unicorn, however, seems friendly enough. 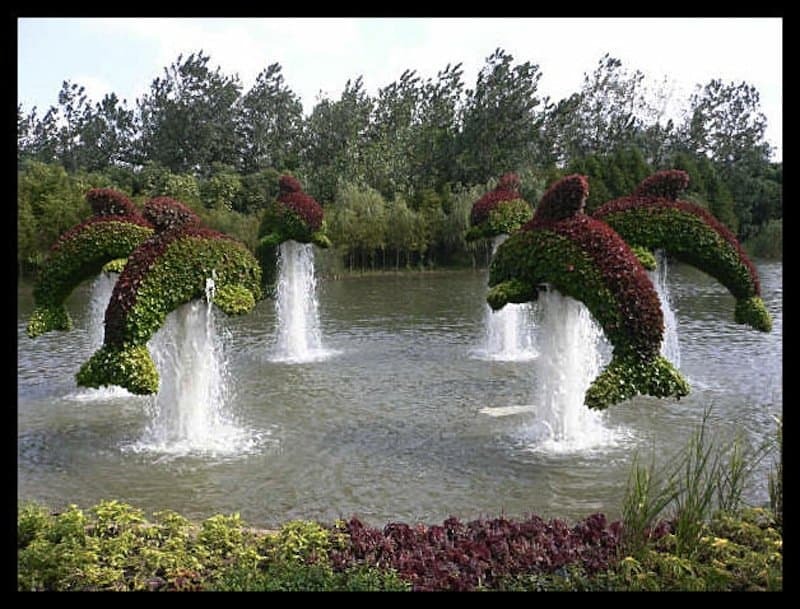 These dolphins are mastering the sport of synchronized swimming. 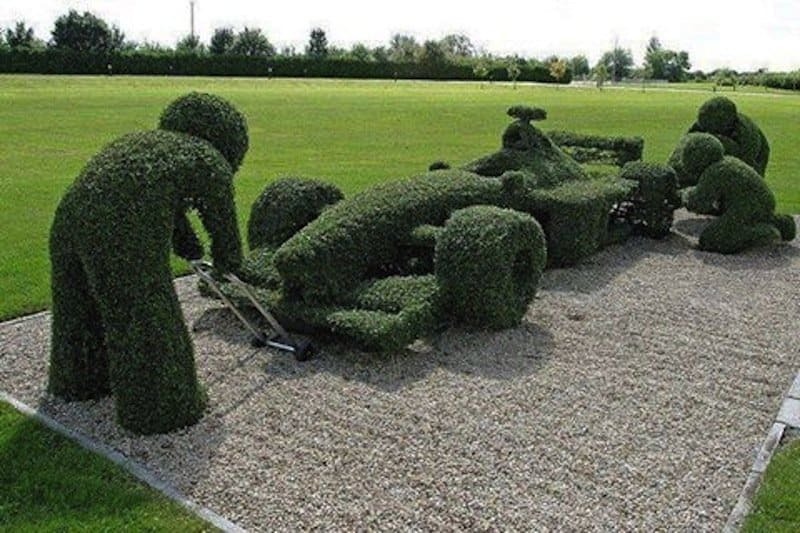 Their timing is perfect, thanks to the efforts of some skilled topiary sculptures. 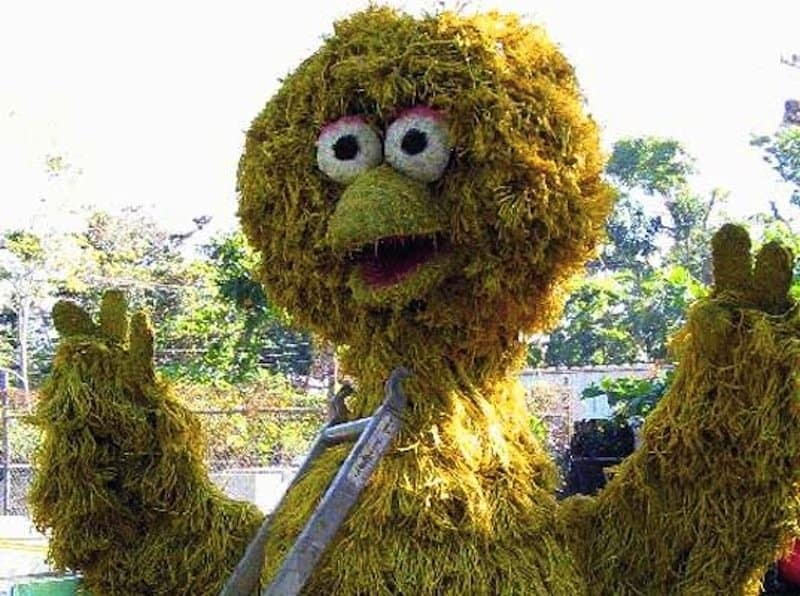 Did you know that Big Bird from Sesame Street has a cousin? He does! 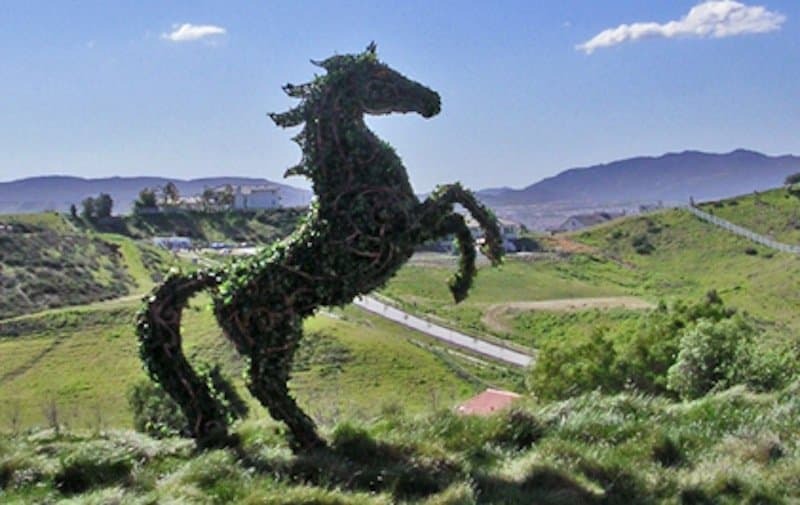 But his cousin is actually a topiary sculpture. Hey! Didn’t anyone tell this lady that it’s not nice to spray other people with water, especially when they’re sleeping? Not all pandas have black and white fur. This one definitely looks like he’s enjoying himself. 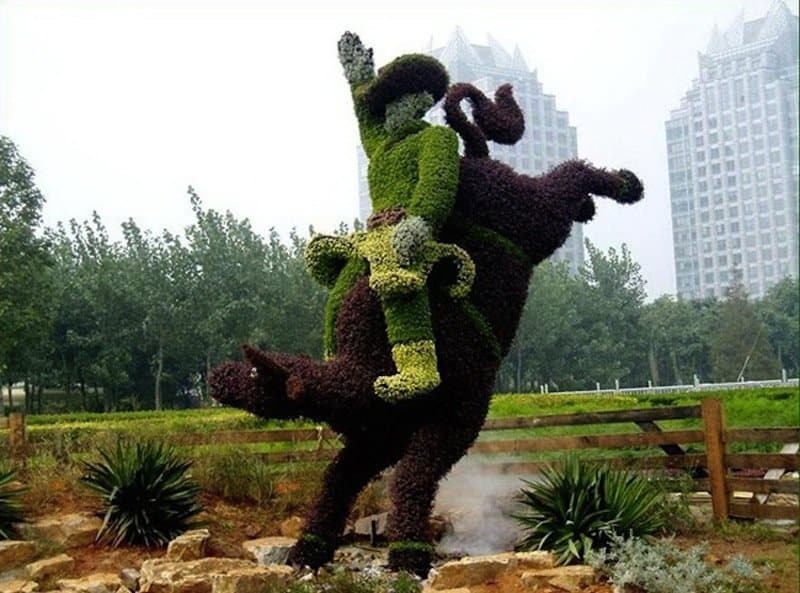 This cowboy is doing a decent job of riding his bull. He’s riding one-handed, too. Dale Earnhardt Jr. was thinking about hiring these guys to be his next pit crew.